A simple circuit may be constructed with the aid of a battery, alligator clips and a component load. It is a straightforward project and requires few materials. Learn how to create a simple circuit using a mini-lamp. Connect the positive end of the battery holder to the breadboard. Attach the mini-lamp to the circuit board with 1 side connected to the positive end of the battery holder. Attach the negative side of the battery holder to other side of the mini-lamp. Place a battery inside the battery holder. The mini-lamp should light up. Turn the power off by detaching the battery from the battery holder. For a different load, substitute a low-voltage hobby motor or buzzer. Observe the voltage requirements as specified by the manufacturer for whichever component you decide to use. To learn to build more simple circuits, buy educational electronics kits. They are inexpensive, include all the necessary parts and offer detailed explanations on how the circuit works. Always exercise caution when building electrical circuits to avoid burning yourself or damaging your equipment. Lewis, Kim. 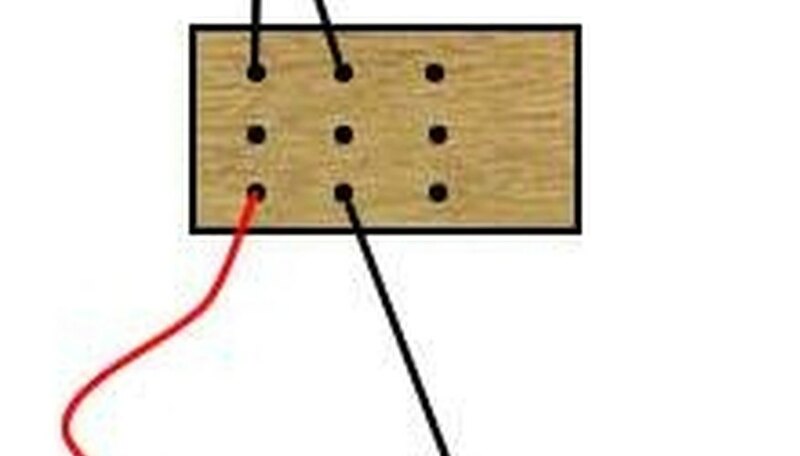 "How to Make a Simple Circuit." Sciencing, https://sciencing.com/make-simple-circuit-5090988.html. 24 April 2017.